Administrative Law: Andrew George is available to advise on the merits and legality of decisions made by government, including litigating these decisions in Court or before tribunals. Insolvency: Andrew has litigated Bankruptcy Notices and Statutory Demands. He has taught Insolvency & Restructuring Law at the University of Southern Queensland (USQ). He is a member of the Banking and Financial Services Law Association and he also won the Banking & Finance Law prize in his Juris Doctor. Workers compensation: Andrew George has experience with injured workers and their compensation claims. He has a particular focus on veterans’ affairs. Andrew can assist veterans with Legal Aid applications. Andrew accepts briefs directly from Company Directors in this field of practice. He particularly welcomes briefs from landholders and family farming companies. He is very aware of landholder concerns in onshore petroleum land access negotiations. He offers a fixed-price service for the conduct of land access negotiations between landholders and petroleum operators. This includes site attendance, legal advice, and face-to-face negotiations. Andrew George wrote and teaches Energy & Resources Law at USQ, where he also has taught Land Contracts. 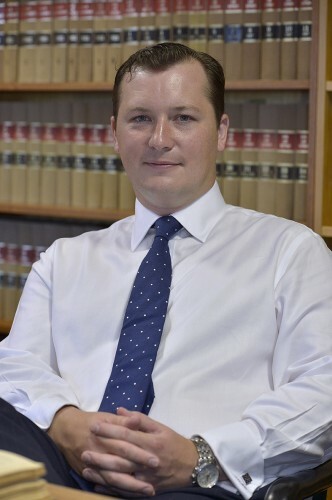 Criminal Law and Property Forfeiture: he has served as a prosecutor in Central Australia and he welcomes briefs in both the Supreme Court and the Court of Summary Jurisdiction. Andrew George has extensive experience with cases involving violence, vulnerable witnesses, and non-English speaking witnesses.